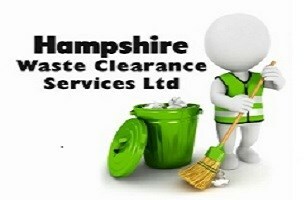 Hampshire Waste Clearance Services Ltd - Garden Services, Rubbish/Waste/Clearance based in Havant, Hampshire. Invoice history based on 209 reviews. At Hampshire Waste Clearance Services we also offer collection and delivery services bought something online or from a DIY store and can't get it home we can help, just give us a try we offer a wait & load service. Our Waste Management services allow you to forget all about your rubbish and allow us to offer help and advice on the best and most cost effective solution to remove all your waste, our staff are always happy to help. At Hampshire Waste Clearance Services we are fully committed to making sure we offer all our customers the best prices along with our high level of customer service. It doesn't matter if you need our services for a small domestic job or a larger commercial project our skip hire alternative service will be cost effective, we can provide competitive quotes for your requirements. Our highly trained customer service team can also advise on exactly the right product for you based on your exact needs making sure you don't pay for space you don't need. We support homes and businesses in Hayling, Havant, Portsmouth, Petersfield and Waterlooville, including, Emsworth, Chichester and Gosport areas. If you need your rubbish and junk removed, items delivered or collected, grass cut, hedge trimmed or that shed or small out building demolished call us today.